Once upon a time there was a world made up of journalists, PRs and clients. They all worked in perfect harmony together, where the clients would ask the PRs to write press releases, the PRs would do this and then pass these onto the journalists and the journalists would feature them in their newspapers. Well, the end of that world anyway. The mix has changed dramatically with the introduction of social media moguls, journalists that cannot only write, they can take photographs, videos and tweet. They’ve become content gatherers – a phrase that I was first introduced to back in 2007 much to my dismay as a hack. To me, ‘content gatherers’ was just another way of encouraging reporters to steer away from their more traditional roles and embrace the digital age. To back track a little, it’s important to ask the question why? Why was there a change, albeit an internal one, in a journalist’s job title and their roles? Sure, there’s been cutbacks left, right and center, but this isn’t the sole reason – far from it in fact. With the digital age and the way in which articles were published online came with it research insights into what stories grabbed the readers attention and were most read. Up until this content was written to communicate what the reporters anticipated their audience would want to read, not necessarily what the audience wanted to read about (not to mention share). For PRs, it’s always been about the audience. 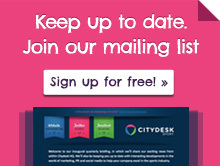 At Citydesk Sport the first question I ask a client is who is your target audience, who do you most want to reach, and we take our PR strategy from there. These days we have more channels to communicate through and there is a need to ensure we’re creating content that is relevant and newsworthy. While the journalists are the content gatherers, the PRs act as the content creators and ensure they’re listening and interacting with their clients’ audience to achieve the best results. For most companies the easiest way to do this is to work with an agency and a fully integrated one at that, ahem….like Citydesk Spot. (C’mon, you can’t blame me for the cheap plug, I am a PR afterall). But on a serious note, it’s not longer seen as acceptable, or reputable, to just post on a LinkedIn page once a month, or a year. Any good business knows its customers at the heart of it and if it’s not listening to what they want then it’s doomed to fail. We’re spoilt for choice with ways to communicate and with all the analytics available, not to mention the likes of Google analytics and our very own CrowdControlHQ’s social media analytics – these give us insights into the way our audience is listening and what interests them the most. As a PR this is priceless information and means I’m able to create content I know my clients’ audiences want to read about. The world of PRs and journalists isn’t so bad these days….we’ve learnt to evolve and adapt to the changing digital landscape and we’ve achieved better results because of this.